The first thing I am SO excited to share is the 350 Palette from Morphe Brushes. 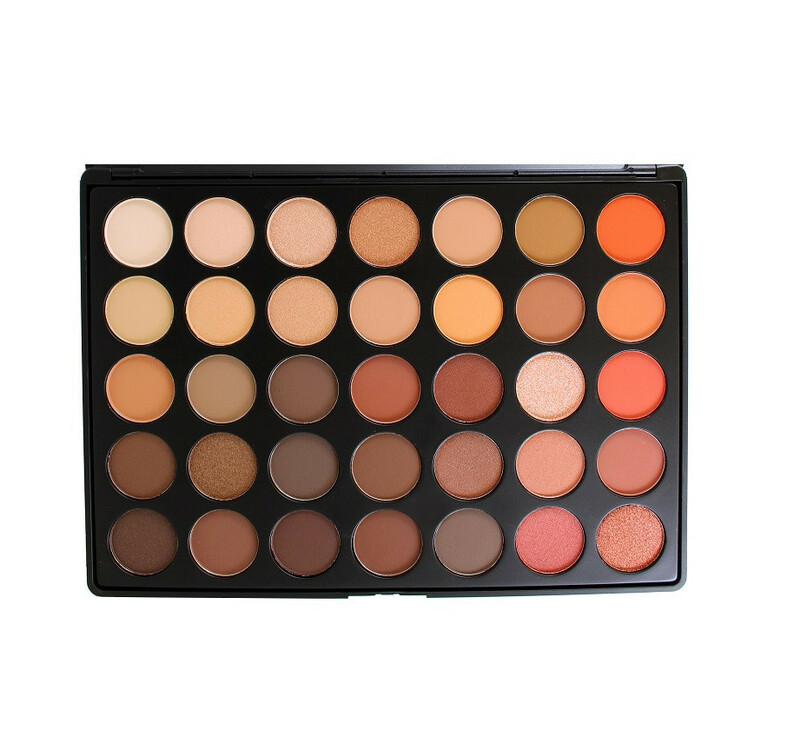 If you have never heard of Morphe, google it NOW. Seriously, Morphe shadows are amazing. They are very well priced ($22 for 35 eye shadows) and are great quality shadows with a wide range of colors. The shadows are so smooth, creamy, and blendable! I love this palette specifically because I am obsessed with warm colors and neutrals, making this collection a dream come true in my book. There are also quite a few metallic shades that are so perfect for fall and a night out on the town. This palette is currently sold out but Morphe is great at restocking very quickly. Pictures can't even do these shades justice so if you need a little more convincing at just how amazing these shadows are, check out my fall makeup tutorial here! The next thing I want to share with you is my favorite drug store brow product. I'm sure you've realized by now that NYX is my go-to for drug store products because they simply have the best quality for such a great price! 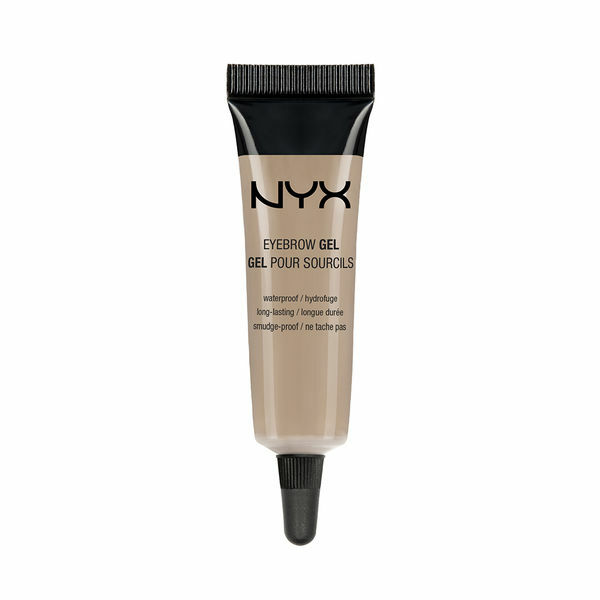 I have been obsessed with the NYX brow gel in the shade blonde for almost a year now. Though I'll occasionally go back to the Anastasia Brow Wiz, I still can not say enough great things about this gel. One of the best qualities about this product is that the consistency is more of a pomade than a setting gel. I love that because it makes me brow hairs stay in place all day long. This product is great for filling in brows but also creating a very natural look. I have very thin brows and this gel is great for thickening them up without making it look like I have drawn on eye brows. This product comes in 5 different shades and is only $7 at Ulta! Yall, that is seriously a makeup steal that you have to try out!! In case you didn't know, I recently dyed my hair from a summery blonde ombre to a fall inspired strawberry bronde (brown/blonde). And I am LOVING it! It took me a few days to get used to the change but I am so glad I switched it up. Having red hair is much different than having blonde hair. Thankfully, I was already on a good hair regime so I haven't had to change it much with the exception of removing purple shampoo! 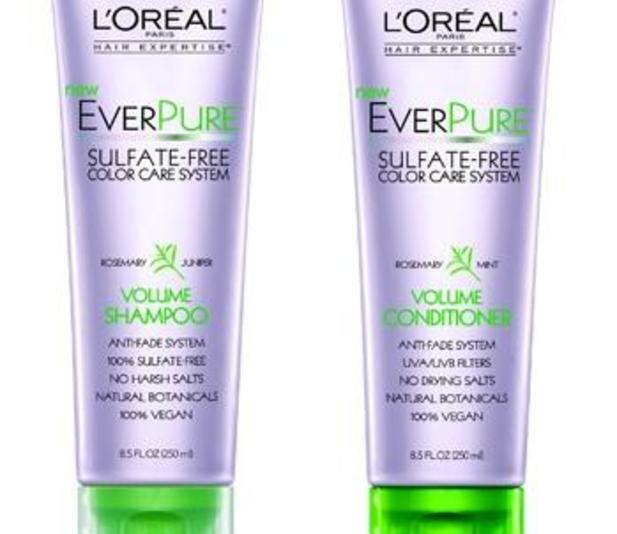 Since May, I have been using the L'Oreal EverPure Sulfate-Free Color Care System (that is one LONG name) and I can't get enough of it and how healthy my hair is. 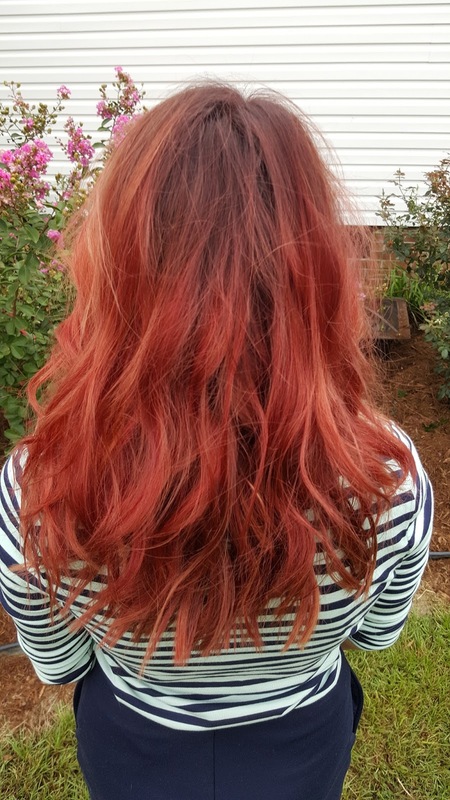 For those who don't know, it is crucial to use sulfate-free hair products with red hair because it fades sooo easily and sulfate is known for speeding up the fading process. I learned this first hand when I went auburn last fall and my color faded within a matter of weeks. 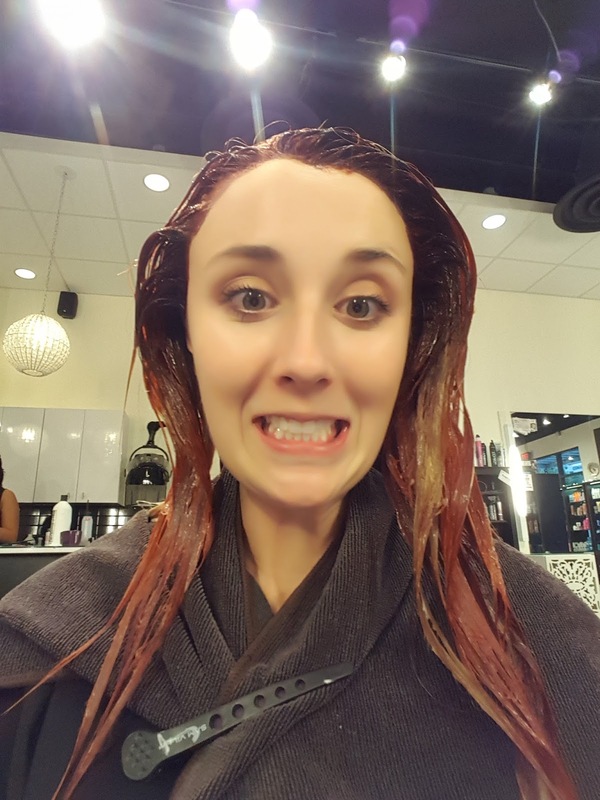 This go-around my color has not faded nearly as much and the only difference has been my shampoo and conditioner! 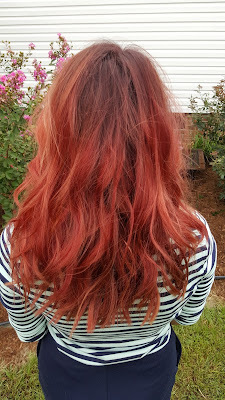 In fact, I expected my hair to fade faster this time since I went from blonde to red and last time I went from red-brown to red so needless to say, I have been ecstatic! Other reasons I love this shampoo/conditioner is because of the smell, the price ($7 a bottle), and how clean it makes my hair. 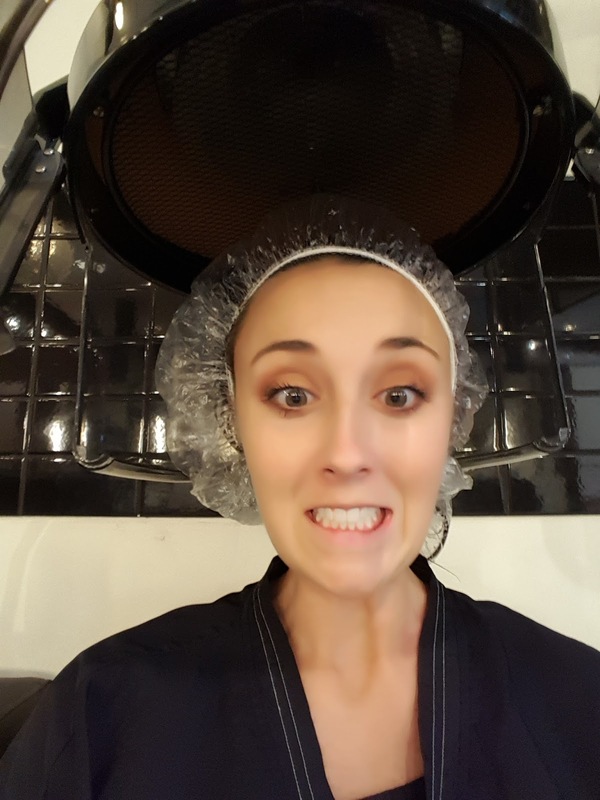 That may sound weird, but I know I have definitely used some shampoos and conditioners that left my hair feeling grimy, crunchy, or tangley! This set always leaves my hair fresh and clean from all the product buildup from the week. It also does a wonderful job at conditioning my ends, which is major for my dry hair! The line also features shampoos and conditioners for moisturizing, volumizing, smoothing, and banishing brass (my favorite for blonde hair!). The entire line is sulfate free, contains natural botanicals, and has no harsh salts. I cannot recommend this product enough and I promise, as a hair junkie, you will NOT be disappointed! The last thing I'm sharing today is my new phone!! Dakota and I finallyyy switched plans and I was SO excited to get rid of my cracked, broken lock button, and forever crashing iPhone 4. We originally were both going to get the iPhone 6 plus but at the last minute, Dakota asked the sales guy for his opinion on Samsung phones. 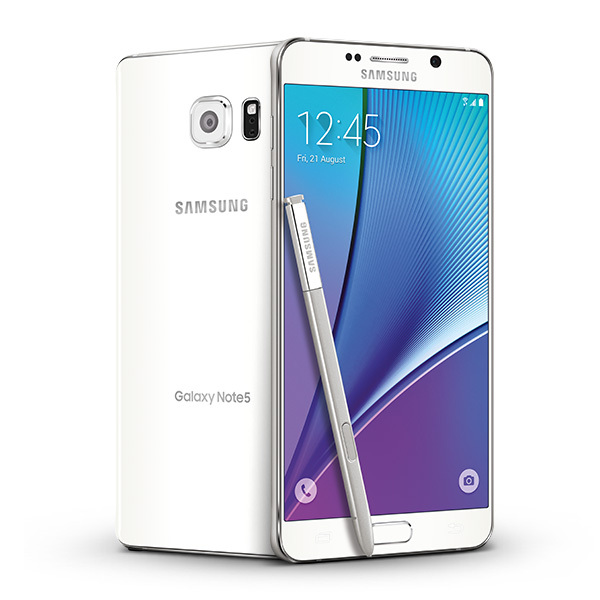 The man immediately starting singing praises for the new Samsung Galaxy Note 5 and had us sold within minutes. I was very hesitant to make the switch because I love Apple, but after 3 weeks with this new phone, I couldn't be more pleased. It is so easy to use and it took no time at all for us to get adjusted to the differences from Apple phones. My favorite part is the camera! The Samsung camera farrr surpasses any of the Apple cameras. I no longer use a filter for any of my photos because the natural camera quality makes the pictures come out just how I wanted! The camera also has fun features for selfie photos that allow you to enhance your skin tone, slim your face, and make your eyes bigger. 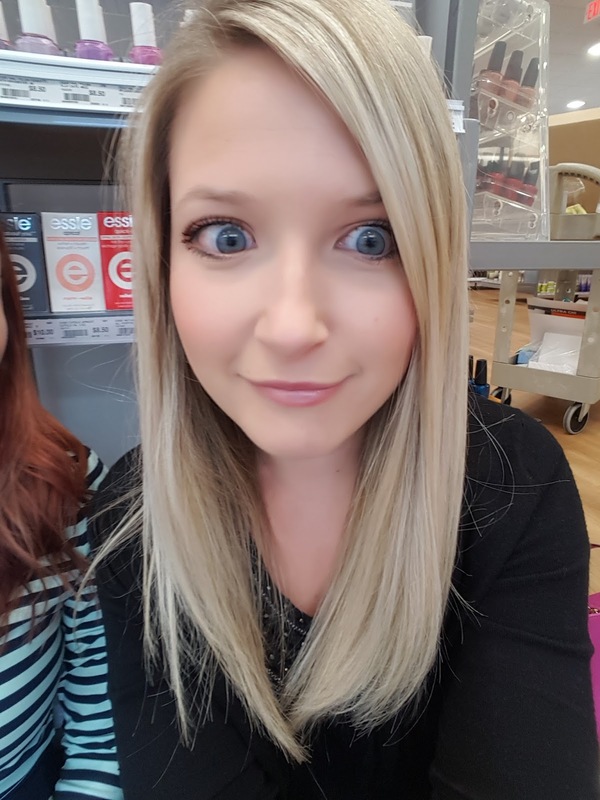 All of my friends have loved making themselves look like aliens with the cool camera options ;) If you're in the market for a new phone, I highly suggest looking into the Samsung Galaxy Note 5 and seeing if it fits your needs and wants from your phone!